TensorFlow is an open-source machine learning software built by Google to train neural networks. TensorFlow's neural networks are expressed in the form of stateful dataflow graphs. Each node in the graph represents the operations performed by neural networks on multi-dimensional arrays. These multi-dimensional arrays are commonly known as "tensors", hence the name TensorFlow. TensorFlow is a deep learning software system. It works well for information retrieval, as demonstrated by Google in how they do search ranking in their machine-learning artificial intelligence system, RankBrain. TensorFlow can perform image recognition, as shown in Google's Inception, as well as human language audio recognition. It's also useful in solving other problems not specific to machine learning, such as partial differential equations. The TensorFlow architecture allows for deployment on multiple CPUs or GPUs within a desktop, server or mobile device. There are also extensions for integration with CUDA, a parallel computing platform from Nvidia. This gives users who are deploying on a GPU direct access to the virtual instruction set and other elements of the GPU that are necessary for parallel computational tasks. In this guide, we'll install TensorFlow's "CPU support only" version. This set up is ideal for people looking to install and use TensorFlow, but who don't have an Nvidia graphics card or don't need to run performance-critical applications. These steps can also be performed on earlier release of Ubuntu. Python and Virtualenv: In this procedure, you install TensorFlow and all of the packages required to use TensorFlow in a Python virtual environment. This isolates your TensorFlow environemnt from other Python programs on the same machine. We'll install TensorFlow in a Python virtual environment with virtualenv. 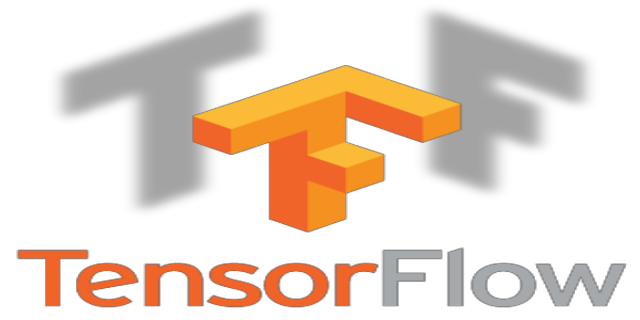 This method isolates the TensorFlow installation and gets things up and running quickly. Once you complete the installation, you'll validate your installation by running a short TensorFlow program and then use TensorFlow to perform image recognition. One Ubuntu 17.10 server with at least 1GB of RAM set up by following the Ubuntu 17.10 initial server setup guide, including a sudo non-root user and a firewall. Python 3.x or higher and virtualenv installed. You can set up as many Python programming environments as you want. Each environment is basically a directory or folder in your computer that has a few scripts in it to make it act as an environment. Congratulations! At this point you have a Python 3 programming environment set up on your local Ubuntu machine and can begin with the following! This will download and install git to your system. Now that you have git installed, you need to do a few things so that the commit messages that will be generated for you will contain your correct information. This makes more work for you because you will then have to revise the commits you have done with the corrected information. You should now have git installed and ready to use on your Ubuntu system. Now, that you have installed TensorFlow, let's make sure the TensorFlow installation works. To validate the installation of TensorFlow, we are going to run a simple program in TensorFlow as a non-root user. We will use the canonical beginner's example of "Hello, world!" as a form of validation. Rather than creating a Python file, we'll create this program using Python's interactive console. This is the prompt for the Python interpreter, and it indicates that it's ready for you to start entering some Python statements. 2017-11-04 16:22:45.956946: M tensorflow/core/platform/cpu_feature_guard.cc:45] The TensorFlow library wasn't compiled to use SSE4.1 instructions, but these are available on your machine and could speed up CPU computations. 2017-11-04 16:22:45.957158: M tensorflow/core/platform/cpu_feature_guard.cc:45] The TensorFlow library wasn't compiled to use SSE4.2 instructions, but these are available on your machine and could speed up CPU computations. 2017-11-04 16:22:45.957282: M tensorflow/core/platform/cpu_feature_guard.cc:45] The TensorFlow library wasn't compiled to use AVX instructions, but these are available on your machine and could speed up CPU computations. 2017-11-04 16:22:45.957404: M tensorflow/core/platform/cpu_feature_guard.cc:45] The TensorFlow library wasn't compiled to use AVX2 instructions, but these are available on your machine and could speed up CPU computations. This tells you that that you have an instruction set that has the potential to be optimized for better performance with TensorFlow. If you see this, you can safely ignore it and continue. This indicates that everything is working and that you can start using TensorFlow to do something more interesting. Exit the Python interactive console by pressing CTRL+D. Now let's use TensorFlow's image recognition API to get more familiar with TensorFlow. Now that TensorFlow is installed and you've validated it by running a simple program, let's look at TensorFlow's image recognition capabilities. In order to classify an image you need to train a model. Then you need to write some code to use the model. If you'd like to use another image, you can do this by adding the -- image_file argument to your python3 classify_image.py command. For the argument, you'd pass in the absolute path of the image file. You've installed TensorFlow in a Python virtual environment and validated that TensorFlow works by running a couple of examples.